New Branch Opening, 15 April 2019. We Are Delighted To Announce that THUNDER TEA RICE will be Opening another NEW OUTLET AT KAKI BUKIT IN THIS APRIL! 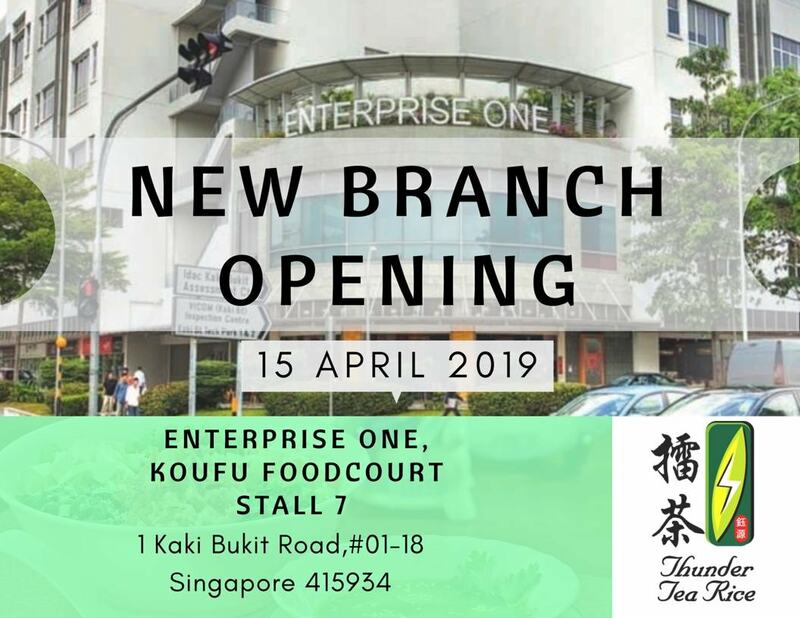 The Opening of Our New Branch is At KAKI BUKIT ENTERPRISE ONE, STALL 7 (Koufu Foodcourt) on the 15th April 2019 (Monday) in view of Increasing Demand of Our Customers and to Deliver Prompt and Speedy Services to All our Patrons. We Thank You For Your Continued Support and Business and Looking Forward to Your Patronage for a HEALTHY, DELICIOUS, THUNDERLIOUS TEA RICE MEAL WITH US!! All Rights Reserved @ Thunder Tea Rice Pte Ltd .